This post is part of a series of posts that discuss about the STI ETF in detail. 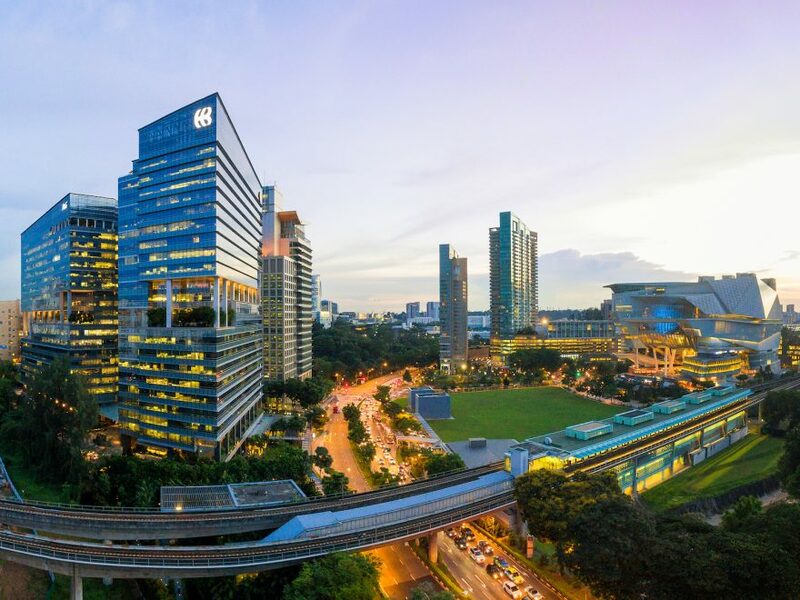 STI ETF is a fund that tracks the Straits Times Index but can be traded like a stock on the stock exchange thus if you wish to purchase or sell it, you will have to buy it on the local stock market. So how does one get started with buying it on the local stock market ? In order to purchase or sell the STI ETF, you will need to open a brokerage account and CDP account. A brokerage account will enable you to buy or sell the STI ETF with the brokerage that you have chosen. CDP stands for Central Depository and the CDP account is an account where stocks will be stored or deposited at after you have bought the STI ETF. To open a brokerage account and CDP account, all you have to do is to walk into any brokerage and tell the staff that you wish to open a account to buy stocks. They will probably help you to fill in and submit some forms to open the brokerage account and CDP account. The process should take a few days to complete and after which, you will be given the user name and password to login to the brokerage and CDP account. Do take note that you may have to put up a sum of money which is in the region of a few thousand dollars, depending on the brokerage as a form of security deposit. After the accounts are opened, you can take out this sum of money or use it to purchase the STI ETF. Basically there are two ways in which you can ask your brokerage to do the purchase for you. The first would be to use an online trading account whereas the other option is to call your trading representative or broker to do the purchase for you. I would prefer the 1st method since the brokerage fees will be cheaper as compared to the other method. If you are using an online trading account to do your purchase, you will be given a user name and a password to log in to your account. I will be showing an example on how to purchase the STI ETF using POEMS by Philips Securities below as I am currently using POEMS to do my purchase although I have other brokerage accounts. Generally, the online trading accounts being offered by all the brokerages are roughly the same. 2. After you have log in sucessfully, click on ‘stocks’ as highlighted by the red circle and click on ‘S’ as highlighted by the green circle subsequently. 4. Enter the price that you wish to purchase at, whether you wish to buy or sell, number of shares and whether you wish to buy using CPF. Do take note that the quantity is in number of shares and 1 lot is equal to 1000 shares. Thus for example, if you wish to buy 3 lots, enter 3000 shares. The buy price is the price that those who wish to buy the STI ETF are willing to pay and the sell price is the price that those who wish to sell the STI ETF are willing to pay while the last done is the price which the last transcation was carried out at. You can key in the last done price to buy the STI ETF if you do not wish to wait that long for your order to be fulfilled. Otherwise, you can key in the price you are willing to buy and wait for your order to be fulfilled once the price of the STI ETF hits your buying price. Please make sure that you do not accidentally click on sell if you wish to buy as you may accidentally short the stock. Shorting means that you are selling a stock which you do not own and currently, there are penalties imposed by SGX on shorting. 5. After you have submitted your order by clicking ‘ok’, go to the ‘order status’ as highlighted by the blue order to check whether your order has been fulfilled. If your order has been fulfilled, it will appear in the ‘Order Processed (today)’ page under SGX. Otherwise, it will appear in the ‘Working Orders’ page under SGX. After your order has been processed, do remember to pay for the STI ETF that you have purchased. within 3 days. In other words, the day that you bought the stocks is known as T and you will need to pay for your stocks by T+3. Currently there are 3 ways of paying and they are listed below.EPS – EPS stands for Electronic Payment for Shares and you can pay for your shares through your designated online banking account by logging in to it. You can opt for this option when you opened your brokerage and CDP account. Do inform the staff at the brokerage about this option when you open your account and you will have to give them your bank account number. Payment will have to be made by T+3 on 9pm. GIRO – Payment will be automatically deducted 2 market days after due the date i.e. D + 2. Do ensure that there is sufficient funds in your account by D + 1. Cheques/Cash – Payment is to be received latest T + 3 by 5 p.m.
Once you have paid for the STI ETF that you have bought, you can login to your CDP account here to make sure that the STI ETF is at the CDP. That should be all. If you have any doubts or queries, feel free to leave comments and I will get back to you.